A beautifully furnished duplex penthouse on the doorstep of Spinningfields, Bauhaus is an excellent location and stunning views of the City. A stunning newly decorated two bedroom apartment in one of the sought after developments in the City Centre. This property, which is just minute`s walk from the heart of the city`s fantastic shopping and dining district has spectacular views over The River Irwell, Manchester City Centre and beyond. Be the first to experience the stunning new apartments in Greengate. The building is close to completion and the first phase has been released for viewings. A variety of one, two and three bedroom apartments starting at £950pcm. 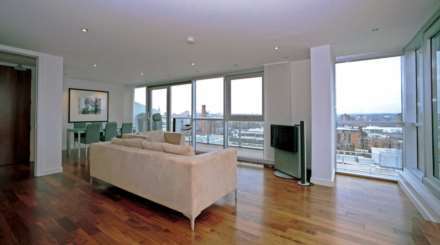 A fantastic two bedroom corner apartment in the iconic No1 Deansgate building. Situated at the North end of Deansgate, surrounded by Manchester`s finest shops and restaurants. This apartment is in the most prestigious address in Manchester.